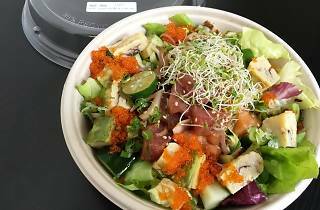 The mainstay of this casual bistro’s menu is thick made-to-order sushi rolls but look past that and give its small selection of poké bowls a chance. 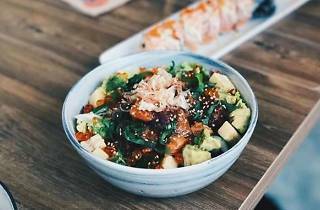 It’s best for people who just want something healthy without all the build-your-own-bowl fuss: there are only four options available and they come with fixed toppings. 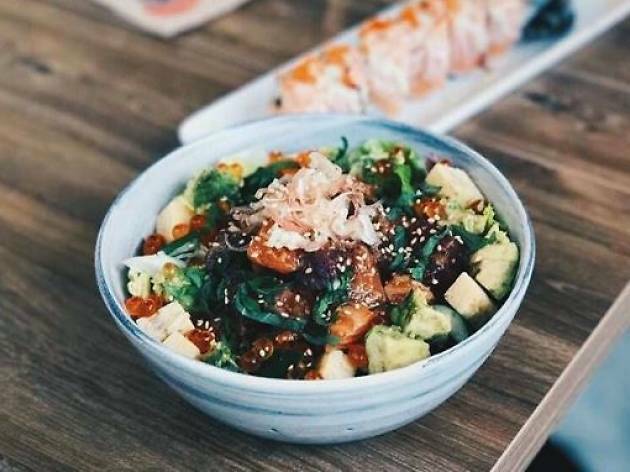 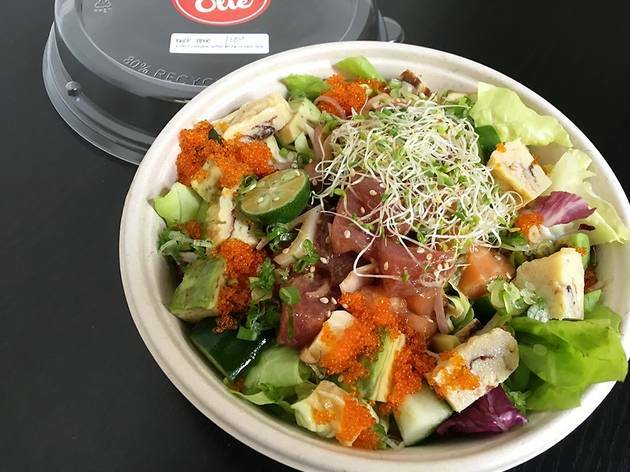 The Aloha Poké ($12.95/regular and $15.95/super) serves up the standard salmon and tuna cubes atop a bed of mesclun leaves with tamago, alfafa, spring onion, flying fish roe and classic soy sauce but if you’re feeling adventurous, go for Seoul Surfer ($13.95/regular and $16.95/super) which has radish, seaweed and a Korean spicy sauce.